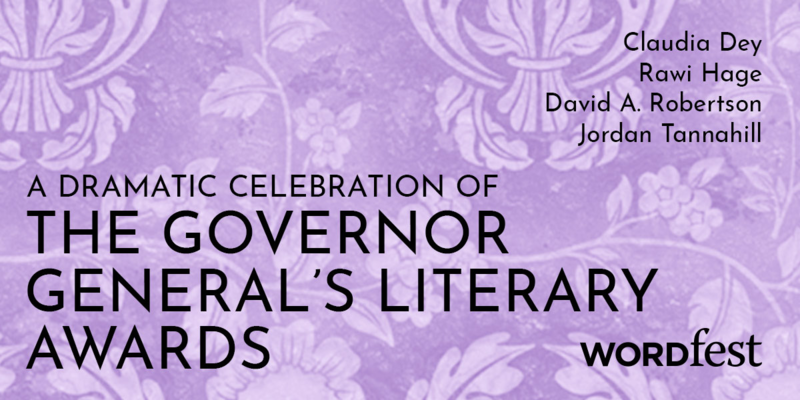 Join us for a theatrically charged celebration of the Governor General’s Literary Awards. The authors in the spotlight are all past GG luminaries. Their new novels – Monsters, Heartbreaker, Beirut Hellfire Society, and Liminal – will be dramatically brought to life through conversation and the special twist of having members of Calgary’s acting community perform the readings: Blake Brooker, Brett Dahl, Bianca Miranda, and Michelle Thrush. Organized in collaboration with the Canada Council for the Arts to celebrate the finalist and winners of the Governor General’s Literary Awards.